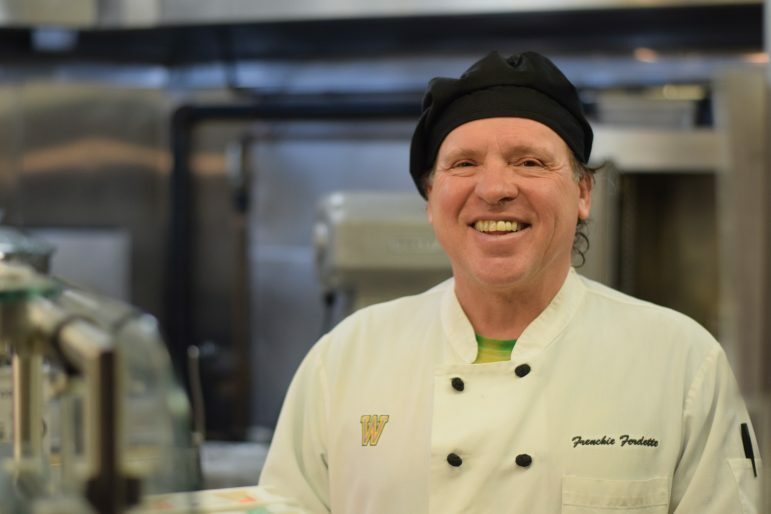 Francis E. Fredette Jr. – better known as Frenchie – has worked in the food service industry for 48 years and continues to love every second of it. He has one of the most vibrant personalities I know, and his buoyant sense of humor and lively anecdotes have been a highlight of my time working at Driscoll. The stories he tells – which have ranged from encounters with live chickens on his front porch to the several times he has been the victim of a hit-and-run while riding his bicycle – stem from a colorful past. We started with the origins of his nickname, a classic example of his knack for storytelling. “You see, I was 8 or 9 years old … playing Little League Baseball for the police department,” he said. 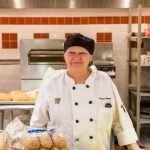 “They gave me the nickname Frenchie back then, and I didn’t meet another one until years later, when I was working at Bounti Fare. He went on to tell me about his time studying electricity at the Charles H. McCann Technical School in North Adams during the early 1970s. His father worked for General Electric in Pittsfield, and Frenchie frequently found himself under pressure to enter the field. Frenchie took his first job at only 13 years old, choosing to follow his mother, the head waitress at Bounti Fare, into the restaurant business. Soon, he found himself bartending and waiting tables at the Williams Inn. A number of celebrities fell under his service during his time there: actors Anthony Edwards, Ken Howard and Goldie Hawn all passed through, along with former New York Yankees owner George Steinbrenner ’52. Working with and meeting interesting people would prove to be a common theme in his career. When he came to the College, he instantly found that the people here made the job worthwhile. The sequence of events that brought him to the College makes for another winding tale. “I was testifying in court in 1998 after some people embezzled from the Williams Inn,” he said. After leaving the Inn around 2000, he worked a series of jobs in nearby restaurants, until an opportunity arose in 2007. He derives much of the joy that permeates his work from that very fact.